The IPL (Intense Pulsed Light) machines or IPL devices must be checked periodically to avoid damaging the patient's skin and also to ensure that the correct dose / treatment is being applied. For this purpose, there is a specific product for measuring the power and energy of IPL (Intense Pulsed Light) radiation equipment or IPL machines. 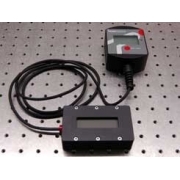 We offer the LPT-Fit-IPL-R, an IPL radiation energy and power meter from LaserPoint, the light and laser measurement expert, ideal for technicians of maintenance for this type of machines. 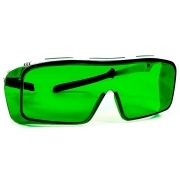 If as an operator you need protection for light or IPL radiation or your patient is the one who demands it, we can also offer you this type of products (glasses, eye-covers ...).